Whether you like to tee off before breakfast, practice your swing at sunset or pack in two different courses in one day, Elegant Golf Resorts will find a resort to suit, a short flight away. Ideal for group breaks as well as couples, many of their hand-picked golf hotels offer fantastic spa and beach facilities too, so there’s plenty to keep non-playing partners occupied. 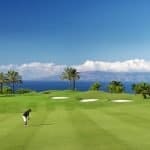 We specialise in luxury golf holidays and short breaks worldwide, designed by golfers for golfers. All our well-travelled team are passionate golfers so they speak your language. They have tried and tested all of our resorts and pride themselves on offering first-hand advice and guidance to ensure your holiday meets – or exceeds – your expectations. 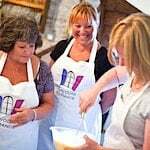 We cater for couples and groups, whether you want just a couple of rounds as part of a luxury break or to play every day. We aim to provide competitive prices with no hidden extras whilst also ensuring there is no compromise when it comes to service and quality. Here is our team’s pick of the six best golf resorts for a short break. Located in the Pas de Calais, Hotel Barriere le Westminster couldn’t be easier to reach and its Art Deco style and central location in stylish Le Touquet makes it ideal for short breaks. 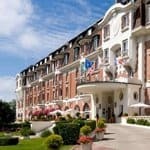 Our three-night break includes two rounds of golf at Le Touquet La Mer or Le Touquet La Foret and the Hardelot Pines or Dunes course. All are magnificent 18-hole championship courses in spectacular settings. The Algarve is justifiably one of the most popular destinations amongst golfers – easy to reach from airports throughout the UK with year-round sunshine. We offer a wide choice of resorts there but arguably the best value is Amendoeira Resort with three nights and unlimited golf from £289 per person, excluding flights. Head to Sir Rocco Forte’s Verdura Resort in Sicily, a luxurious gem with 36 holes of golf across courses designed by Kyle Philips. Non-golfing partners will love the luxury spa and glorious beach. A great year-round option is the The Ritz-Carlton Abama in Tenerife, our top-selling resort and home not only to a superb 18-hole championship golf course but also a Michelin-starred restaurant and world-class spa. Superb service and a great value all-inclusive option make the Gloria Serenity Resort in Turkey a good choice, boasting its own golf course as well as others close by. 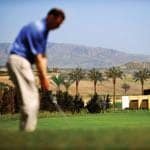 Finally, you could head to Agadir’s beaches in Morocco where the all-inclusive Hotel Riu Palace Tikida has four top quality golf courses within easy reach. Find out more about our golfing short breaks and sign up for our exclusive special offers.